Wow! I thought I'd enjoyed The Sister but The Gift is even better, and I didn't think that would even be possible! Louise Jensen has exceeded all of my expectations after The Sister and has written a cracker of a book, one that stays with you long after you have turned the last page. Jenna is grateful to receive a heart transplant and wants to thank the family of the donor in person. This isn't recommended by the hospital, but Jenna feels so strongly about it that she hires a private investigator to find Callie's family. Callie's family aren't exactly what she imagined them to be but Jenna feels like she knows them, although she can't explain the depth of her feelings. When Jenna finds out that Callie had a sister, Sophie, she is determined to find her. Jenna follows her instinct and takes her lead from strange flashbacks that seem to show Callie's life. What is Callie trying to tell her? All Jenna knows is that she must find Sophie. As she gets closer to the truth, she puts herself in more danger and she ends up in a race against time as it feels like her body is starting to reject Callie's heart. I'm not sure if Jenna's heart was beating as wildly as mine was throughout this book; I could barely keep hold of my kindle as my palms started to sweat near the end. I loved the exploration of cellular memory and it's something that I do believe in, especially with a heart transplant. Is the heart just an organ that keeps us alive or is it so much more than that? I'd love to think that the heart is more than a vessel, that it contains all our feelings, hopes and fears. It's so comforting to think that an organ transplanted in another person means that the donor hasn't completely died. It's quite magical to think that a little piece of the donor lives on and the recipient absorbs a little of their very essence. 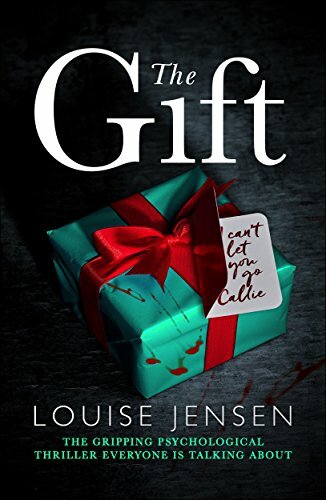 The Gift is so much more than a psychological thriller, although it is certainly a fantastic one, but for me it's a thought provoking look at the magic of the human body. It is also a stark reminder of how fragile we are and how by simply registering on the organ donor register we can save so many lives in the event of our death.